In this FREE game, iPhones are invading planet Android and your lone Android has to get as many points as possible by shooting them using his megaphone. Silly sound affects accompany this game along with colorful iPhone and Android graphics. 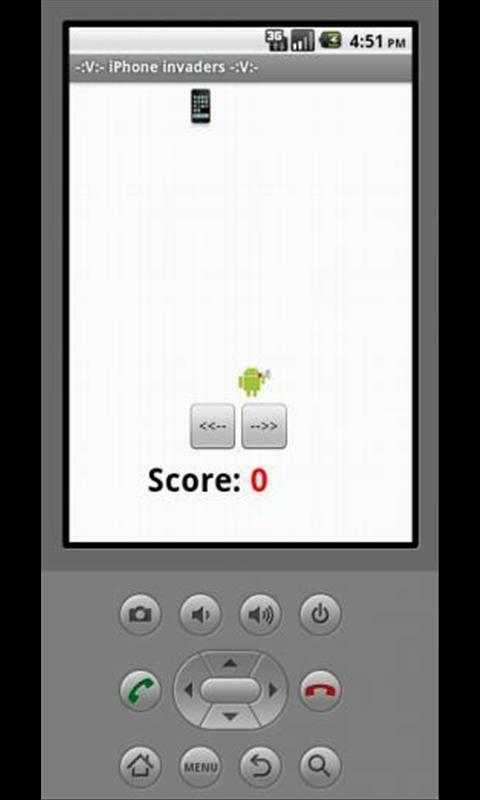 Tap the controls on the screen to move the Android from right to left and try to get as many points as possible before they invade planet Android.